Isn’t it nice that September and October cooperated and were so mild? Isn’t it nice that plants know how to push the re-set button and recover from pest damage? 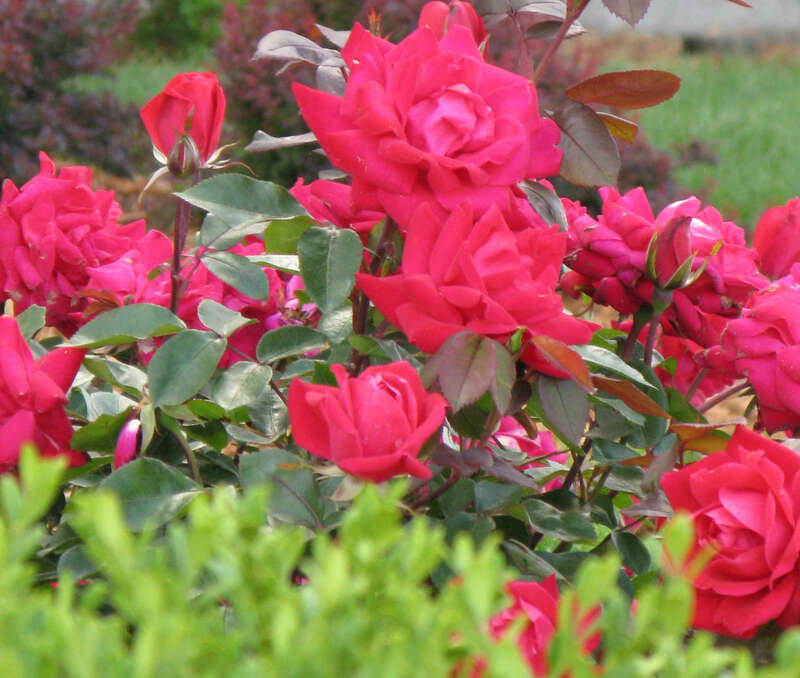 These two facts have allowed the shrub roses to rebound after being chowed on–and then chowed on some more–by Japanese Beetles earlier this summer. The scent of roses caught me off guard last night, and I had to stop, and yep, smell them. So nice to see them get a chance to show off before winter.